Aging is inevitable in all living things. Dogs age much faster than humans, so changes in their physical and mental well-being can seem to come out of nowhere. Suddenly your fun loving and ready-for-anything buddy is reluctant to leave his warm bed on frosty mornings and takes his time climbing stairs. 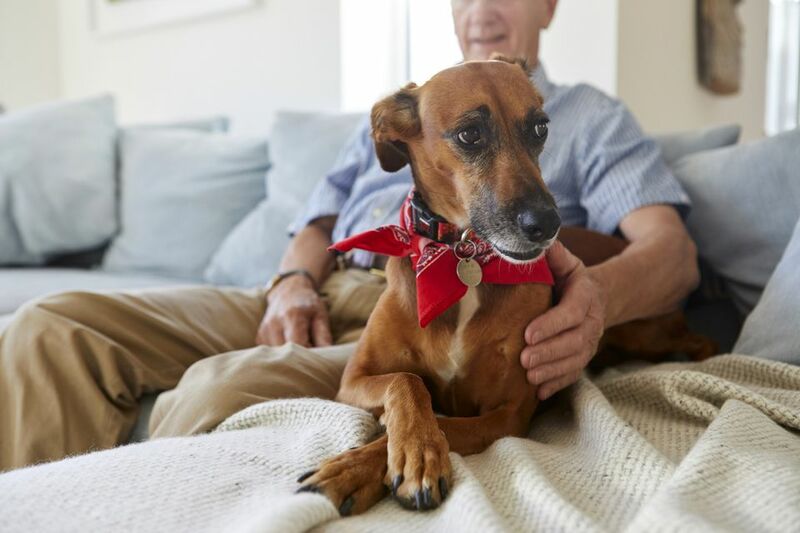 It may seem like a shock that your dog is suddenly a senior, but becoming a senior doesn't mean you and your dog can't enjoy several more good years together. It's important to understand that dogs undergo many changes as they age and become seniors. Here's what to expect as your dog enters the golden years. Arthritis is one of the most common conditions associated with your dog's advancing age. Pain and stiffness will make it hard for a formerly boisterous dog to hop up and join in a jog. It may even make your dog reluctant to move at all. Cold and damp weather only make these conditions worse. At some point, you'll notice that your dog just doesn't bounce back like they used to. This goes for anything: injuries, illnesses, and even exhaustion. At around seven years of age, your dog's bones start to lose density, making it harder to heal from a fracture. Muscles also lose mass and the cartilage in joints wears thin. This is the age where arthritis usually starts to become noticeable. Other age-related health conditions include kidney disease and cancer. Not all senior dogs will experience the same health issues, but knowing what may come can be helpful. Hearing loss is one of those age-related hurdles that you and your dog may have to face. The loss is usually gradual, and as you notice that your dog is becoming less responsive to verbal commands, you will have to adapt yourself to using hand signals and other non-verbal cues. Children will have to learn not to sneak up on the dog, but to stomp their feet as they come up behind them. Deaf dogs do very well in most households, so don't look at this as the end of the world for your older dog. It's more likely to bother you than your dog. Your dog's vision may also start to decline with age. This may be related to cataracts or some other condition. Or, it could simply be a product of aging. Cognitive dysfunction, or dementia, is a common occurrence in aging dogs. Your dog may forget where they are at times and fail to recognize people they have known their whole life. The formerly house-trained self may suddenly start having accidents in the house, forgetting all earlier training. This can be frustrating for both you and your dog. Cognitive dysfunction affects thousands of older dogs each year. There is no cure for dementia in dogs. However, there is hope. There are some treatments for dementia in dogs, such as medications that can help slow the process and improve the symptoms of dementia. Your dog may be headed for grumpy old fart territory, becoming irritated a lot easier than before. Patience tends to wear thin faster in older dogs. They may not tolerate a lot of activity like kids jumping, running and yelling. It's important that your dog has a quiet spot to retreat to whenever necessary, and that your kids know not to bother them when in that spot. They may not be so patient when it's time to eat either, demanding food immediately, but don't let them get too pushy. You're still the boss.